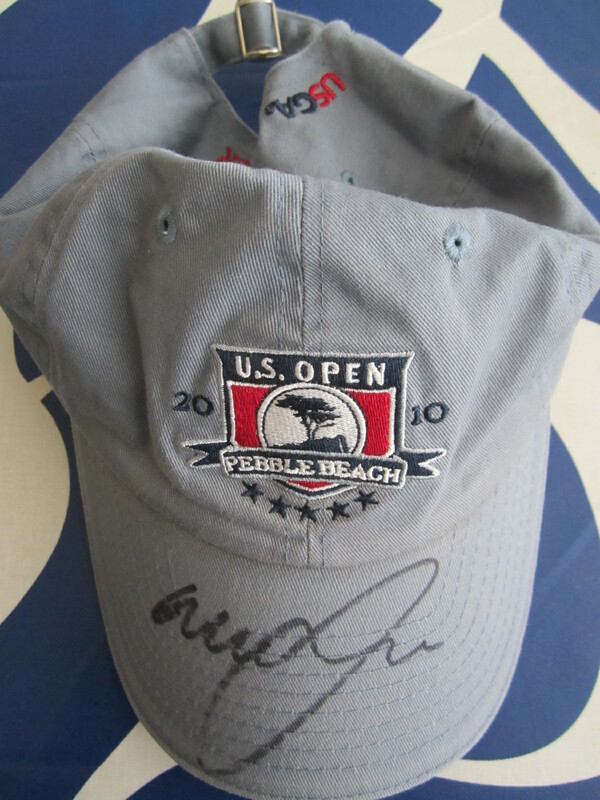 2010 U.S. Open (Pebble Beach) blue USGA Member embroidered cap or hat autographed on the bill by Graeme McDowell, who won his first major title at this tournament. Obtained in person, with certificate of authenticity from AutographsForSale.com. ONLY ONE AVAILABLE FOR SALE.